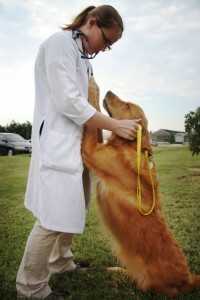 The Gentle Doctor Benefit offers an evening of entertainment and serves as a fundraiser for the University of Missouri College of Veterinary Medicine’s teaching mission. The evening includes music, the fast-paced excitement of a live auction, the light-hearted strategizing that goes into silent auction success, and tasty appetizers preceding a delicious dinner with CVM students and their families, alumni, faculty and staff, and members of the community. The benefit is a long-standing tradition, which brings old acquaintances back and draws new friends each year, and supports the college’s scholarship fund for veterinary medical students. The interest from the endowment provides significant scholarships to two incoming students. Additionally, the college provides $100 scholarships to each member of the incoming class. The University of Missouri College of Veterinary Medicine’s Gentle Doctor Benefit is an annual nonprofit gala that raises funds for student scholarships.